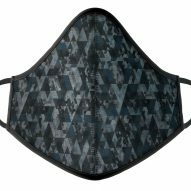 Marcel Wanders has partnered with San Francisco company O2Today to release a set of air pollution masks made from patterned wool. According to the company, its mask is the world's first made from all-natural materials, and is capable of filtering 97 per cent of airborne pollutants – while allowing the wearer better breathability. The mask is made using a sustainable process as well as responsibly sourced materials, with the idea being that it doesn't contribute to the pollution it protects from. "When designing, we must look into the future and visualise the ecological impact that a design or object will have on an individual or indeed a wider social network," said Wanders. "Therefore, we created a mask out of a material that doesn't add to the problem it is trying to solve, the pollution problem." The New Zealand series is the result of six months of research by O2TODAY, to discover where existing products were falling short. "Our focus at O2Today has been creating a more effective urban air pollution mask that people will actually feel good about wearing," said the company's chief medical officer Amit Mehta. "The current complement of medical masks does not provide effective filtration for the most harmful pollutants, while effective masks are simply too difficult to breath through." 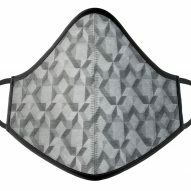 O2Today's masks are available in six different patterns – including floral and geometric designs – and retail for $30 (£23) through Amazon Launchpad and KLM Royal Dutch Airlines. The company plans to expand to China and South East Asia later this year. Each mask can be re-worn for anywhere from 15 to 45 days, depending on pollution levels. Two adult sizes are currently available, and O2Today will introduce children's sizes. The company is also researching further products that protect from the effects of pollution, including more wearables and skincare. Danish studio Kilo Design recently tackled the challenge of making air pollution masks that are still visually appealing, with a brightly coloured design with interchangeable parts aimed at children. Best known as the co-founder of Dutch furniture brand Moooi, Wanders came 107th on Dezeen Hot List, a data-driven power list of the top designers, architects and brands.